Pfhaah, I'm finally back home from my first summer!Desucon ever. Desucon was held in Lahti 8-10 June 2012. I had a blast, it was so much fun despite more-than-usual breathing problems, ME GUSTA VERY MUCH!! I'm so going there next year again! My journey to Desucon started on Thursday morning by train. 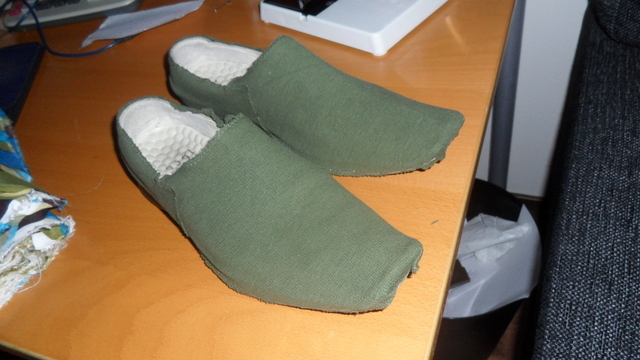 I managed to finish my cosplays in time for the con, although last minute and mom and stepdad modified Ichito's shoes for me because I was busy packing my stuff. :'D It looks a bit ghetto but it works lol. I slept in Omenahotels with Jäärä, Ri-kun and Sukka from Thursday to Sunday. So much night derp and fun oh my god. xD PILLS! On Saturday morning and earlier daytime I cosplayed Ichito from Asaki, Yumemishi but I changed into yukata!Souji Okita from Hakuouki: Shinsengumi Kitan later because, even though I really liked my Ichito cosplay it was quite uncomfortable and I'd rather not have a headache during the whole main con day. 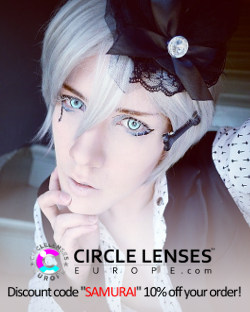 Jäärä cosplayed Miku from the same game and changed into Chizuru also. 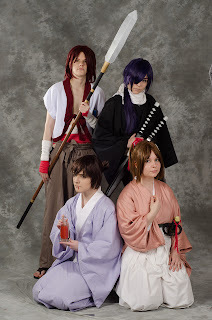 On Sunday we had a Hakuouki group with Jäärä as Chizuru, Zkitsune as Harada, Ri-kun as Saitou and me as Okita. I think Sunday was my favorite day in terms of hanging-with-friends-fun. Even though shikai!Ukitake was, again, my most popular cosplay during the con. I didn't attend any panels or even buy any merchandise I have so much stuff in my room already.. but the con was very very nice anyway. Lots of nice cosplay costumes and friendly people. 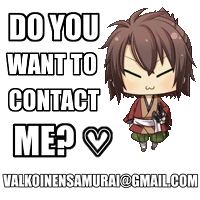 I took quite some photos so if you remember being photographed by shikai!Ukitake, yukata!Okita or Ichito (aka white long-haired eyepatch guy) give me a shout and I'll see if I have a photo of you! 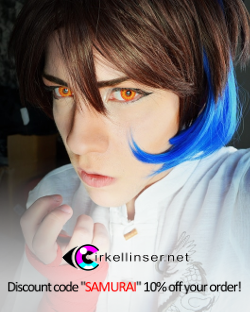 If you don't know what those characters I cosplayed look like you can have a look at my earlier Desucon cosplay plans blog post. 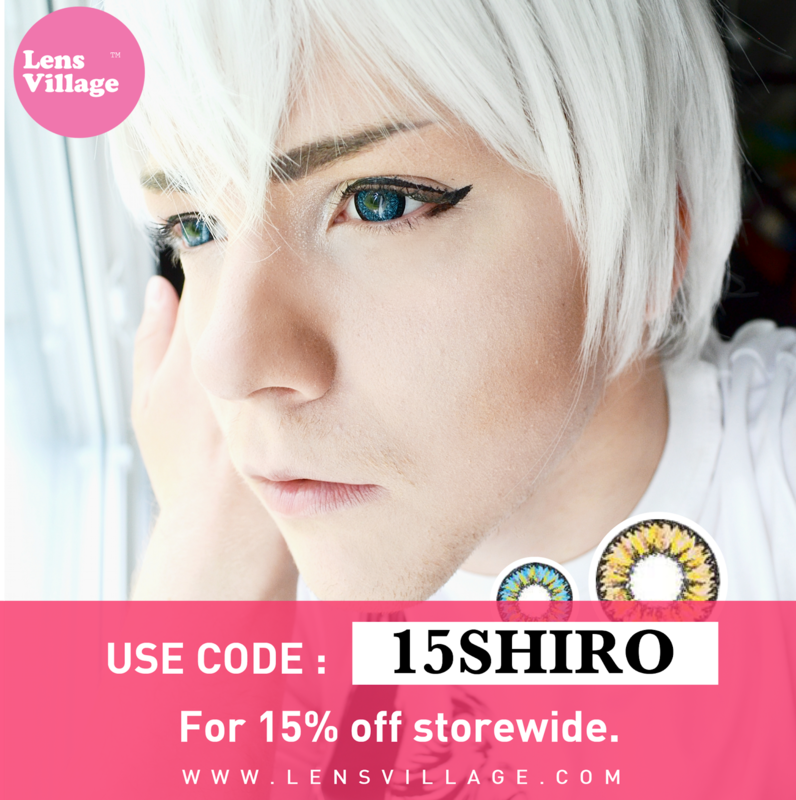 I have photos of Okami cosplayers, Hakuouki cosplayers, Bleach cosplayers, Sengoku Basara cosplayers, InuYasha cosplayers, Digimon cosplayers and some few more like some hobbits from Lord of the Rings (names escape me gah! ), Mitsurugi from Soul Calibur and Gakupo from Vocaloid. So if you cosplayed something from these series there's a big possibility I have a photo of you~ I have some photos too of characters I didn't recognize but I thought the costumes were really nice/interesting. I'm now suffering this after-con lag hahah (yyyh want more Desucon!) and I'm so friggin' tired right now, I hardly slept in the train back home and ahgjfsgfs. I got home a few hours ago and need to start packing again for another con, this time Uppcon in Uppsala next weekend. I'm leaving 13th June so need to pack my stuff again... but I need a bigger suitcase because I will be staying at my dad's place for some few weeks after the con. Kiitos itsellesi conista XD Oli todella mukavaa hengata taas ja derppiä PILLS ympäri conia ja omppuhotellia!! Animeconissa sitten uudestaan! Ja toi medän ryhmäkuva on niin ihana!!!! Also the grupe photo is really nice of all of you. Ooooh I wanted to go to desucon too someday,you know? Joo minulla on Gakuposta kuva, ainaki jos sulla oli se perusversio!